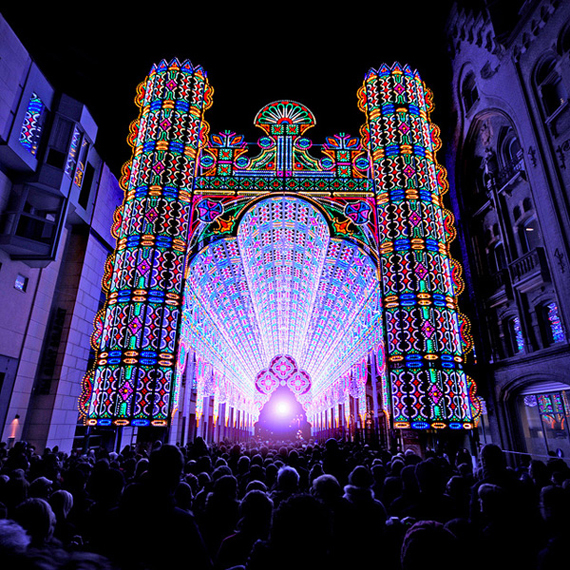 At the end of January in the city of Ghent, a festival of light Ghent Light Festival 2012. 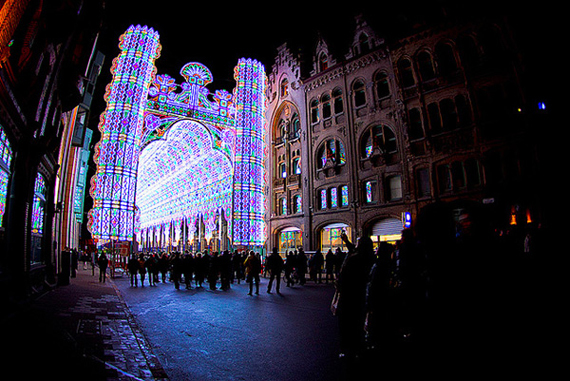 The show lasted for 4 days. 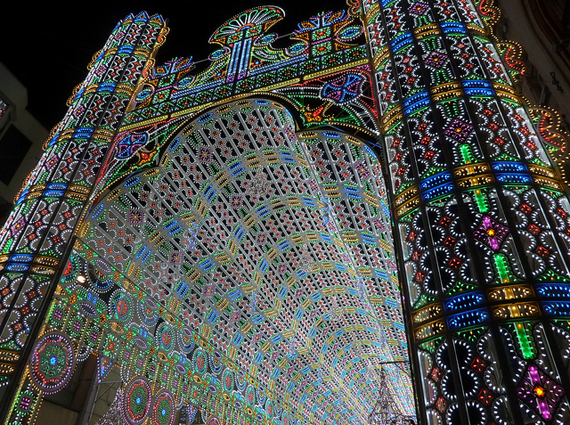 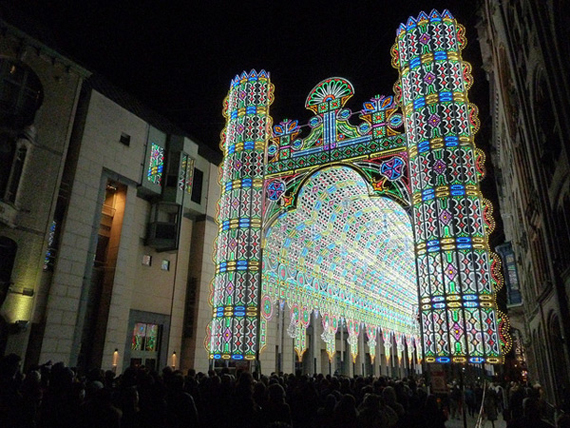 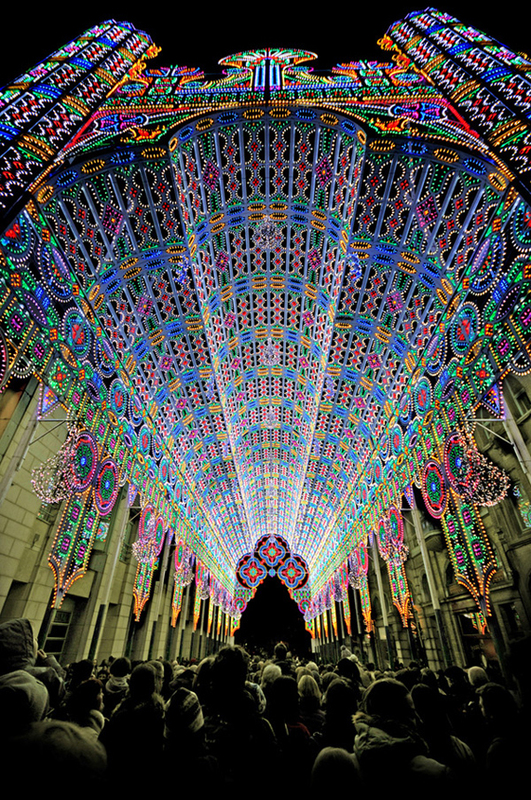 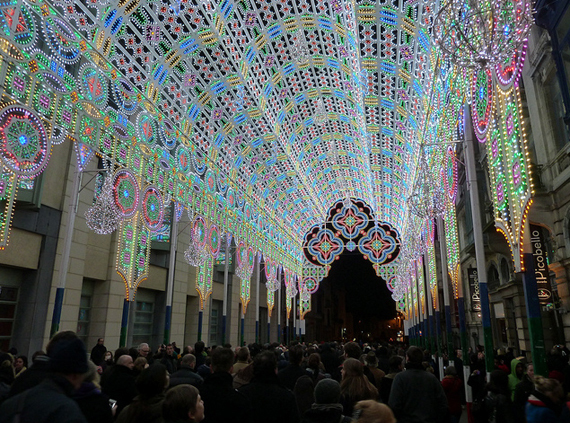 The most spectacular festival began installing the cathedral Luminarie De Cagna. 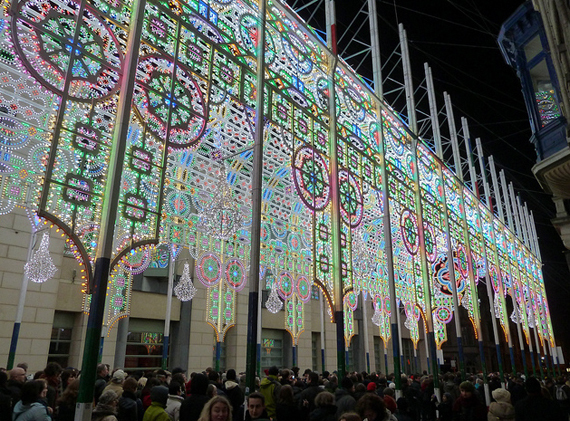 30-meter design highlights the 55,000 LEDs that consume no more than 20 kilowatts per hour. 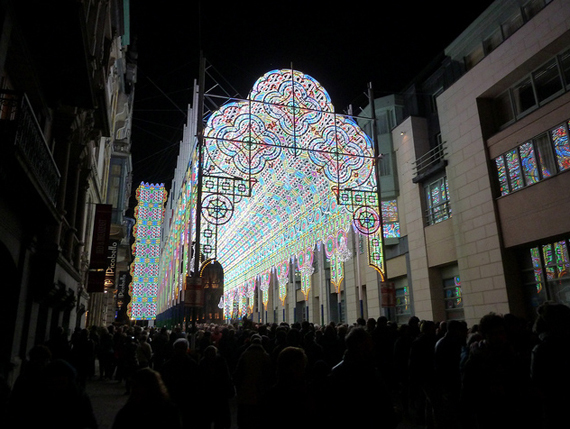 Results were presented at the festival 30 light installations.